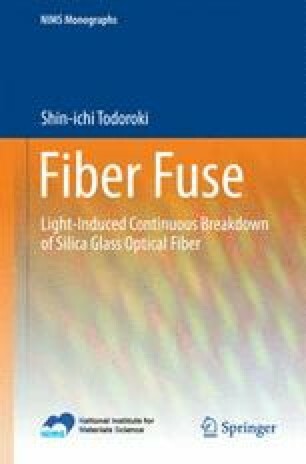 The main challenge for experimenters on fiber fuses is that they move. This motion has been examined using ultrahigh-speed photography and the precise measurement of propagation speed for typical single-mode fibers. As a result, three propagation modes are defined depending on the plasma volume per pump beam diameter. In cylindrical and unimodal modes, the confined plasma fully occupies the core region and leaves periodic discrete voids or indiscrete thin voids, respectively. In the unstable mode, the cross-sectional area of the plasma is smaller than that in the other two modes and decreases with the pump power.